Come 15th February, discerning customers will be able to book the 2019 Honda Civic prior to its launch at all Honda dealerships across the country. Honda Cars India Limited (HCIL) has just unveiled the upcoming 2019 Civic to the Indian media folks. Now, the company has announced that it will officially open its order books for the pre-launch bookings of the Civic from tomorrow, 15th February. Eager customers can visit any Honda dealership across the country and can book their vehicle against an amount of ₹ 31,000. 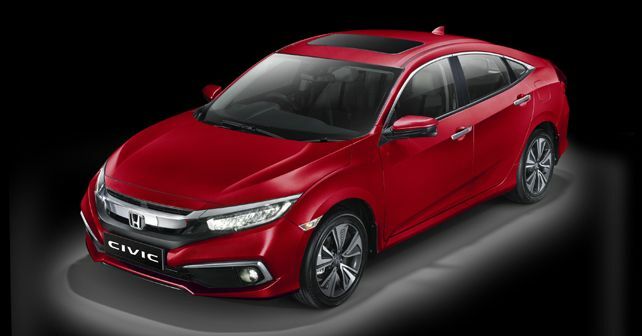 Due for launch here on 7th March 2019, the 2019 Civic will be the 10th generation of Honda's highest-selling sedan. While the Civic comes with an array of engine and powertrain options in the international markets, for India, Honda has simplified the options by offering just two options: a 1.8-litre i-VTEC petrol engine which will be mated to a CVT gearbox and a 1.6-litre i-DTEC turbocharged motor which will come with a six-speed manual gearbox. The 118bhp diesel motor will be a popular option among long-distance drivers as Honda claims that it can deliver fuel-efficiency of up to 26.8 km/l. The 139bhp petrol motor, on the other hand, is more likely to be a popular choice for those seeking a good balance of driving comfort and power.